While they last! 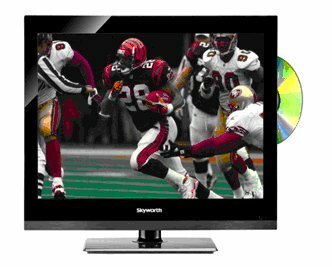 Save big on this 22" HDTV with on-board DVD player and 2-way power! When one of our electronics buyers saw this extremely limited quantity deal, he snapped up the entire inventory in a flash. And if you want in, you have to move quickly too! This 22" TV has all the latest technologies including a 1920x1080 resolution, LED backlit screen with 16:9 aspect ratio and lightning-quick 5ms response time. It has an on-board DVD/CD player too! Also has an ATSC digital tuner, NTSC analog tuner, 3D comb filter, 1 HDMI port, coaxial output and much more. Operates on AC and DC power (both included). 21.1" x 15.3" x 7.8" with stand. 90-day limited warranty.